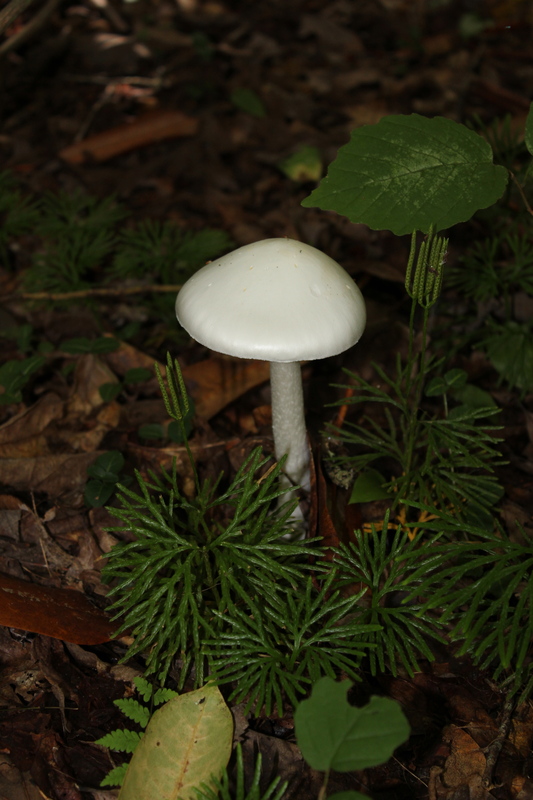 One of many poisonous mushrooms in the genus Amanita, the destroying angel is probably the most poisonous of all. 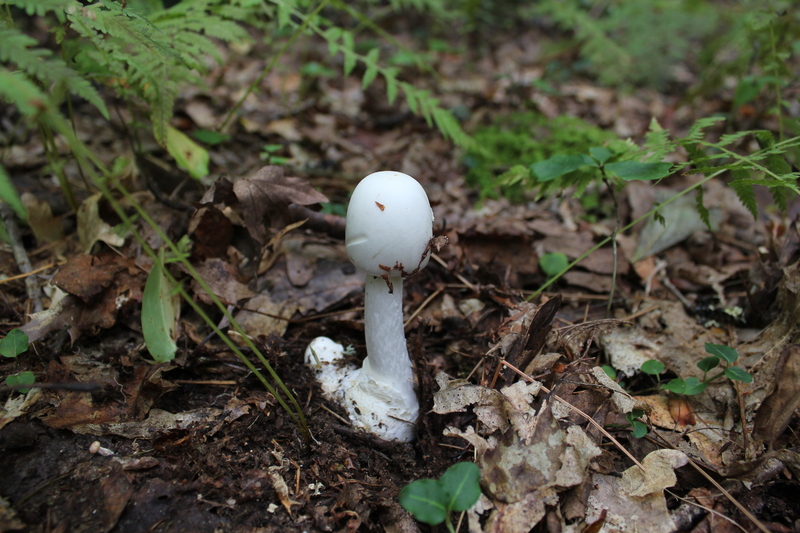 It appears in summer, first as a white “egg” that will form the base. 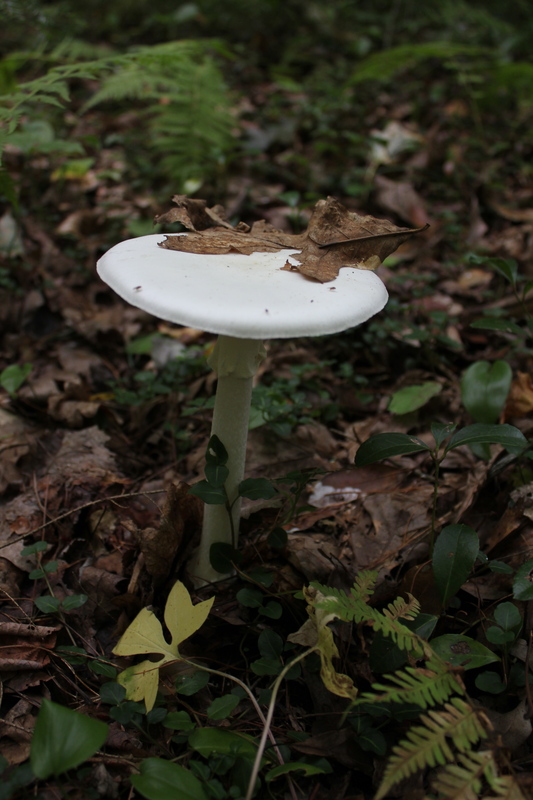 As the mushroom grows, the cap appears conical. When the cap eventually opens, the surface of the cap is smooth (no warts!). 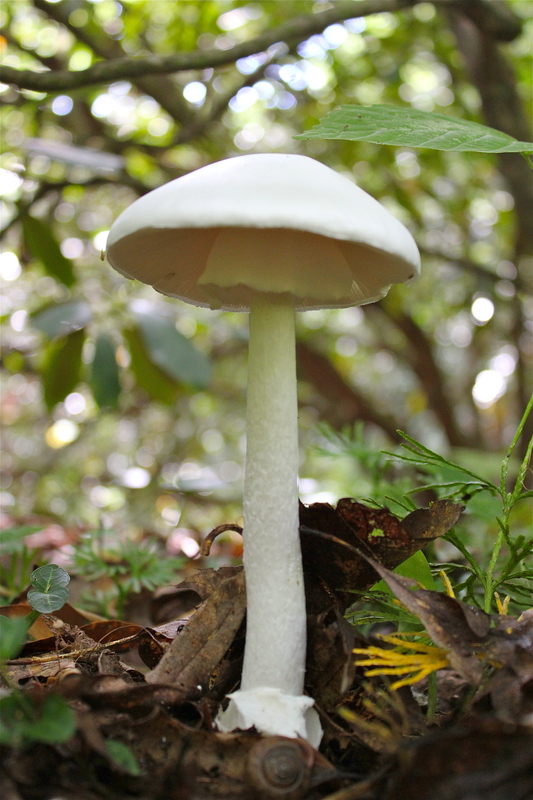 The entire mushroom is pure white, with white gills and a white stipe. 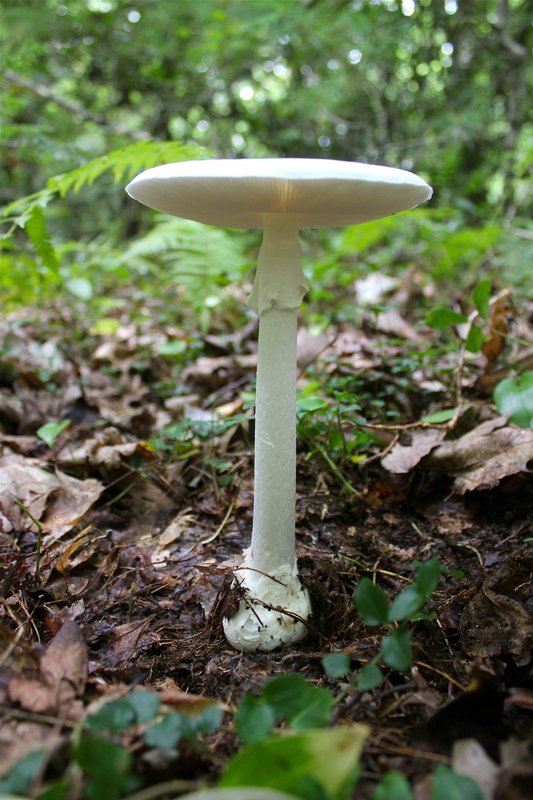 The stem almost always has a skirt-like ring. 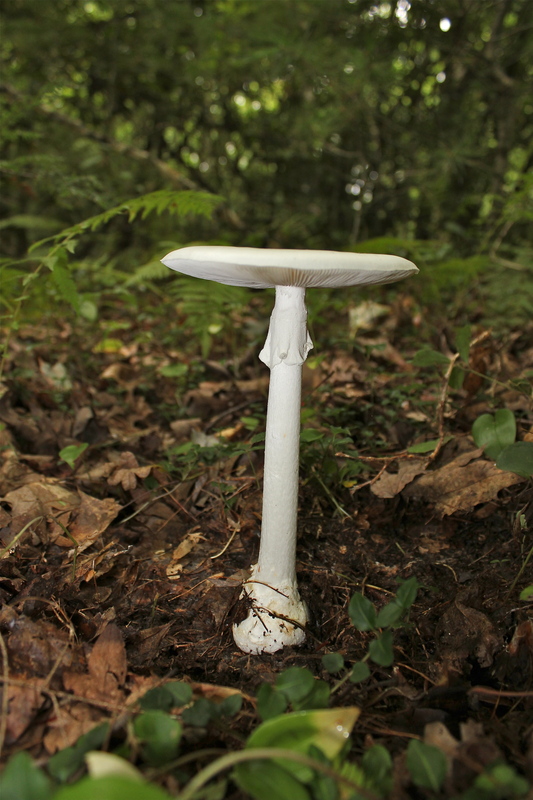 See the gallery below for photos of the mushroom in various stages. 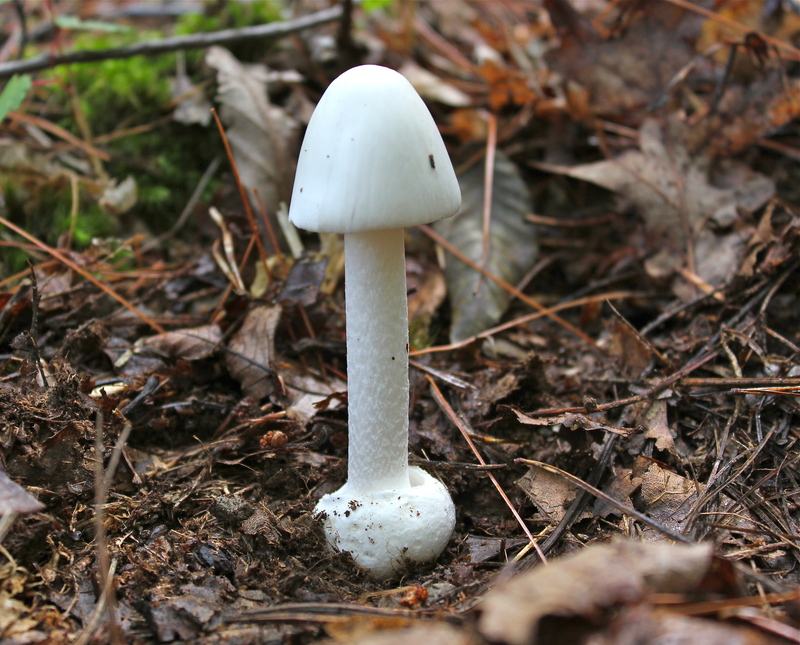 There is disagreement about the actual species name of this mushroom, but I’ll leave that to the experts. 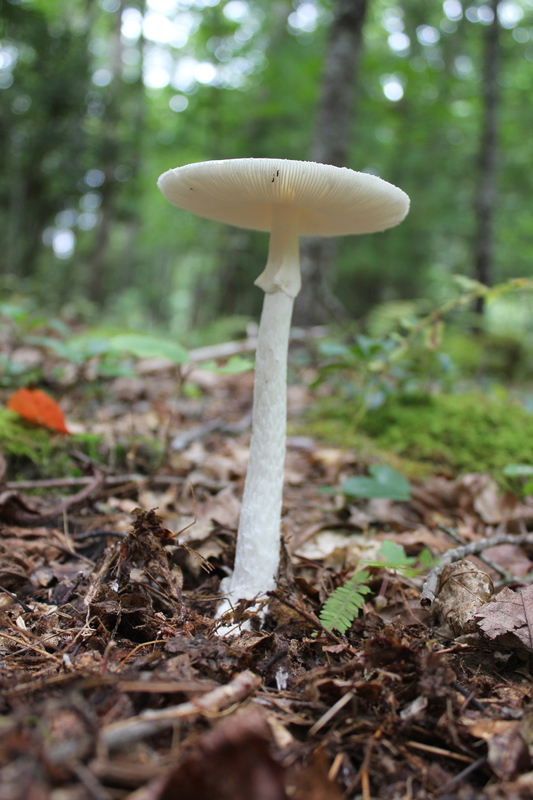 For now, it is enough to know that you should never, ever eat an all-white wild mushroom that looks like the ones below! Thanks for the warning! Our sheep pasture just erupted with hundreds of these. Fortunately the sheep are elsewhere for the winter.